Biondic, D. Browne, D.T., & Wiener, J. (2012). The joint influence of maternal stress on mother and teacher ratings of ADHD: A multivariate response model. Poster presented at the Society for Research on Adolescents Biennial Meeting, Vancouver, British Columbia, March 2012. Biondic, D. & Wiener, J. (2012). Understanding the factors associated with parenting stress of parents of adolescents with ADHD. Poster presented at the Canadian Psychological Association Annual Convention, Halifax, Nova Scotia, June 2012. Browne, D.T., Rokeach, A., Wiener, J., Hoch, J.S., Meunier, J.C., Thurston, S. (2012). Examining the Family-Level and Economic Impact of Complex Child Disabilities as a Function of Child Hyperactivity and Service Integration. Journal of Developmental and Physical Disabilities. Haydicky, J., Wiener, J., Badali, P., Milligan, K., & Ducharme, J. (2012). Evaluation of a mindfulness-based intervention for adolescents with learning disabilities and co-occurring ADHD and anxiety. Mindfulness. Advance online publication. Markel, C., Timmermanis, V., & Wiener, J. (2012). How do school-related issues impact parent-adolescent relationships among youth with ADHD? The International School Psychology Association Convention, Montreal, Quebec. Timmermanis, V., & Wiener, J. (2012). Who? What? Why? 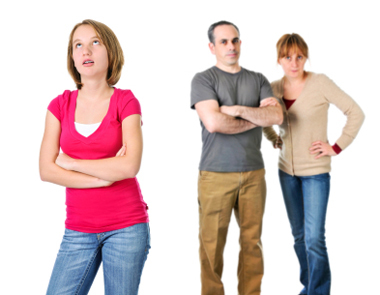 An exploration of bullying among adolescents with attention-deficit/hyperactivity disorder. The International School Psychology Association Convention, Montreal, Quebec. Wiener, J. & Costaris, L. (2012). Teaching Psychological Report Writing: Content and Process. Canadian Journal of School Psychology, 27(2), 119-135. Wiener, J., Malone, M., Varma, A., Markel, C., Biondic, D., Tannock, R., & Humphries, T. (2012). Children’s Perceptions of their ADHD Symptoms: Positive Illusions, Attributions, and Stigma. Canadian Journal of School Psychology, 27(3) doi: 10.1177/0829573512451972. Wiener, J. & Timmermanis, V. (2012). Social relationships of children and youth with learning disabilities: The 4th R. In B. Y.L. Wong and D. L. Butler (Eds). Learning about Learning Disabilities. Elsevier. pp. 89-140.